Agnes (Kelly Macdonald) is a housewife straight out of the 1940s, from the clothes she wears to the way she spends her life dredging through the constant monotony of housework. When the film opens, it initially appears to be set in the ‘40s with Agnes preparing a birthday celebration—decorating, tidying up, bringing people food—that is until Agnes blows out the candles and is given a brand new iPhone, because it’s actually 2018. It’s a jarring transition which makes clear that, in many ways, Agnes has been left behind. 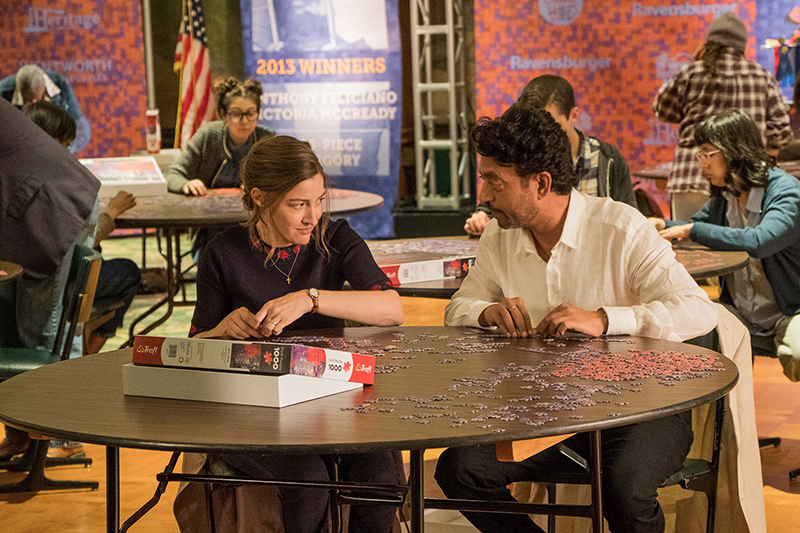 She has spent her whole life caring for other people, seeming to have no hobbies or interests simply going through the motions, until one day she picks up a jigsaw puzzle, a gift from the party, and rediscovers her talent for solving them. This sets Agnes off on an adventure of self-discovery and growth. 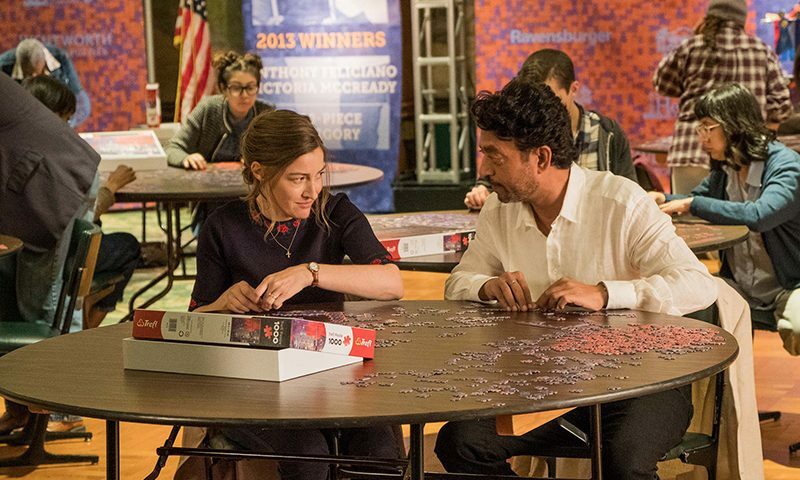 She meets Robert (Irrfan Khan) who solves puzzles competitively and who needs a partner to enter his next competition and Agnes is perfect for him with her ability to complete advanced puzzles quickly. Things take a turn for the romantic as Agnes and Robert grow closer; meanwhile her husband Louie (David Denman) becomes distant and aggressive with their mounting financial troubles.